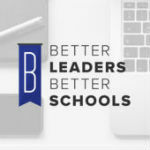 Join my hybrid group coaching & leadership development community Text BETTERMASTERMIND to 33444 Grab your FREE 15 Phrases of Effective School Leaders Text PHRASES to 33444 or click the link above. Website :: Facebook :: Insta :: Twitter :: LinkedIn SHOW SPONSORS: SCHOOL SPIRIT VENDING •Hassle-free, year-round fundraising for your school. With School Spirit Vending, we do all the work, you just cash the check •Increase school spirit with custom stickers for your school and raise funds at the same time -no upfront costs, no volunteers, no selling •Sick of the same old ways of raising money for your school? Let School Spirit Vending's hassle-free, year-round fundraising program supplement the other fundraisers you're already doing. •SSV is also giving away the Top 10 School Fundraising Ideas for 2018. Download the guide here.